I am a creature of habit. Although I love to venture out and experiment constantly, I always come back my solid favorites. I have been using the same shampoo, sleeping in the same t-shirts and, heck, even wearing the same brand of underwear (ah!) that I have been rocking for years and years. Breakfast however has been a tumultuous affair. For a month it's yogurt and granola and then the next it's all about scrambled eggs. It's been bagels, cereal, pancakes, avocado toast, and even boiled egg sandwiches. But right now, it's all about this scallion omelet. Scallions, green onions, whatever you call them I will eat them in everything. They work here kind of like onions would but without any of that crying business. The combination of parmesan and goat cheese is a great balance between sharpness and tanginess. 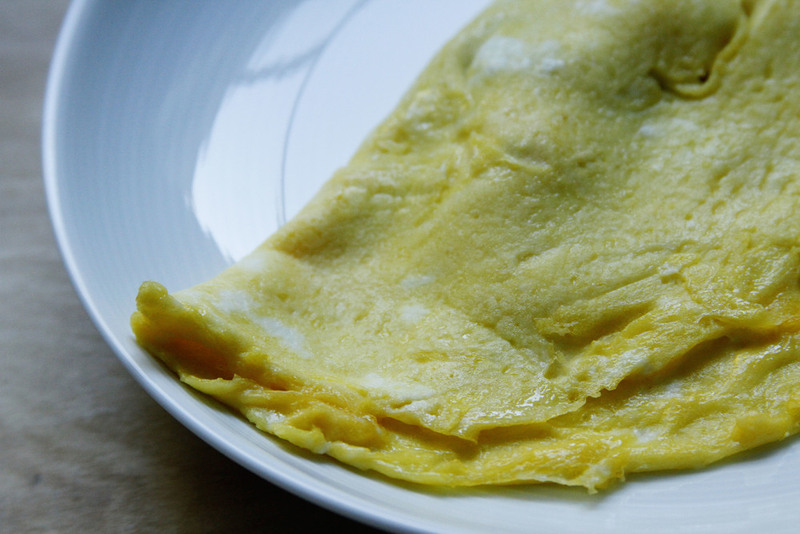 Omelets seem really complicated, but you just have to dump the eggs in the pan and be patient while it firms up. Then you add your fillings to one side, and flip the other side snuggling the fillings inside. Breakfast done, for now at least. Heat a small pan over low heat. Add the butter and swirl it around the pan. 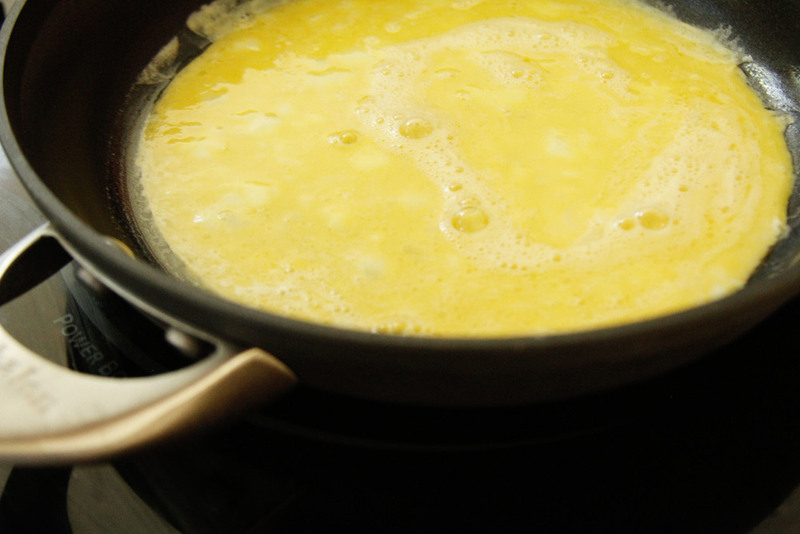 Whisk together the eggs in a small bowl and pour into the pan. This is the most important step! Allow the eggs to mostly cook, swirling the pan and lifting up the cooked egg so that when you tilt the pan none of the egg migrates. Add the goat cheese, parmesan and scallion to one side of the pan, and fold the other half of the egg on top of the other. Allow the cheeses to melt, for 1-2 more minutes, and devour.